Celebrate the world’s most seductive instrument. 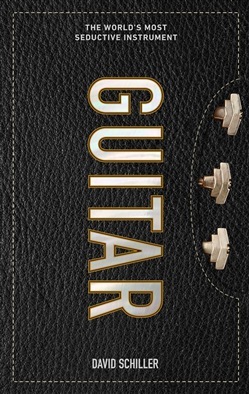 An obsessive, full-color gift book, Guitar captures the soul, the significance, the history, the magic, the raw mojo of the guitar in all of its beauty and variety. Written by David Schiller, author of Guitars and the Guitars wall calendar, here are 200 instruments in stunning detail. Iconic instruments—Leo Fender’s history-making “Broadcaster,” Les Paul’s log, the Gretsch Country Gentleman, the trio of Martins (D-18, D-28, OM-28) collected, coveted and also copied by every important guitar builder since. Historic instruments—Eric Clapton’s Brownie, George Harrison’s hand-painted Rocky, Prince’s Yellow Cloud, Willie Nelson’s Trigger, the Hauser that was inextricably bound up with Andres Segovia’s preeminent artistry. Hand-carved archtop jazz guitars, pinnacles of the luthier’s art, from John D’Angelico to Ken Parker. There are instruments from a new wave of female builders, including Shelley D. Park, Joshia de Jonge, and Rosie Heydrich of England, with a guitar she built out of 5,000 year-old wood retrieved from a peat bog. And quirky, one-of-a-kind guitars, like Juha Ruokangas’s steampunk masterpiece, “Captain Nemo,” and Linda Manzer’s Pikasso II built for Pat Metheny—four necks, 72 strings, and a thousand pounds of pressure. Marrying pure visual pleasure with layers of information, Guitar is a glorious gift for any guitar lover. 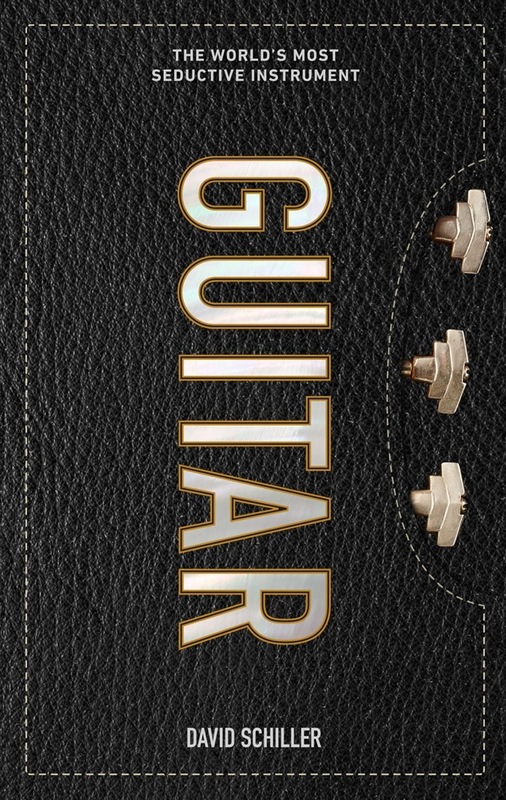 Acquista Guitar in Epub: dopo aver letto l’ebook Guitar di David Schiller ti invitiamo a lasciarci una Recensione qui sotto: sarà utile agli utenti che non abbiano ancora letto questo libro e che vogliano avere delle opinioni altrui. L’opinione su di un libro è molto soggettiva e per questo leggere eventuali recensioni negative non ci dovrà frenare dall’acquisto, anzi dovrà spingerci ad acquistare il libro in fretta per poter dire la nostra ed eventualmente smentire quanto commentato da altri, contribuendo ad arricchire più possibile i commenti e dare sempre più spunti di confronto al pubblico online.